Though a cross-country road trip can take you to many beautiful places and show you stunning landscapes, there comes a time when boredom sets in and everyone gets a little stir crazy. If you're traveling with kids, this can be even worse! With little ones, they may be constantly seeking attention, and even older siblings can start to pester their younger siblings after a few hours, driving everyone insane. And while there's no perfect solution to preventing family feuds on a 10-hour road trip, you can do small things like introduce games to the kids to keep them entertained. 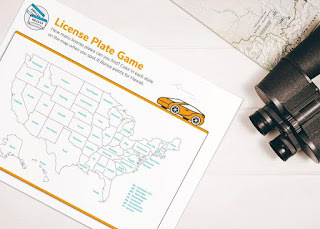 These 30 road trip printables will have you covered with fun games like My Cows to make even the most empty country field feel exciting. Plus, these printables also include checklists to ensure you don't forget anything, so you can both stay organize and have fun. Plus, some of these games are fun for all ages and keep everyone away from their screens and focused on the sites and locations their driving through instead. It's the perfect way to get everyone involved and help them enjoy the nature of the road trip!